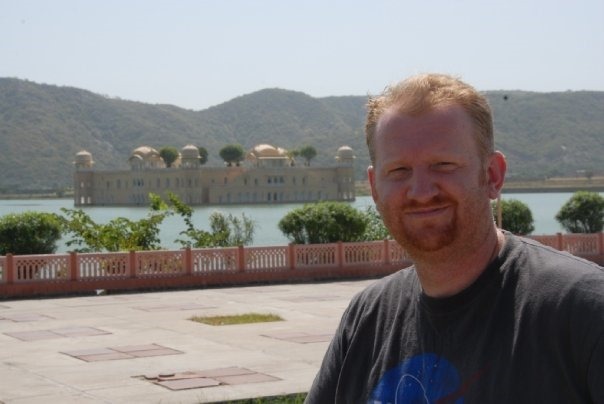 My trek through India was truly EPIC. One of the most interesting and amazing trips. The assault on the senses was so intense fascinating world of spice. 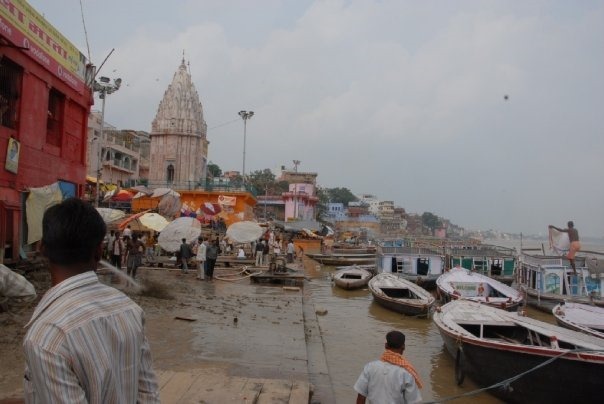 Some of the oldest cities on the earth are in India. India is the second most populated country in the world, but driving across the country you wouldn’t know it. The Indus of 3000 BC had a written language, a complex society. 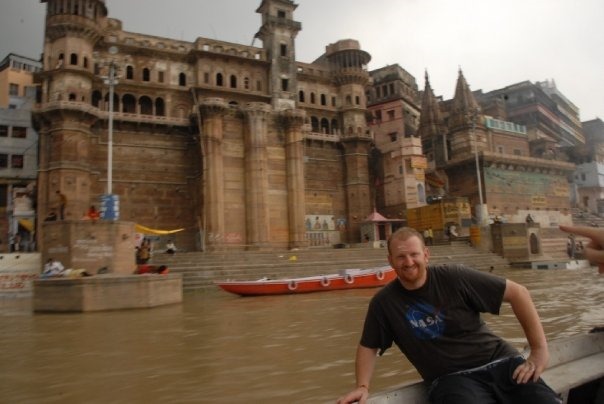 In a country with 1.2 Billion people with one of the richest cultural destinations in the world, I highly recommend India for the adventure seeker, the world traveler, and for those looking to find themselves. The eat pray love movie suggested that Bali and India are great destinations for getting at your soul. Trying to find your inner being. I agree. 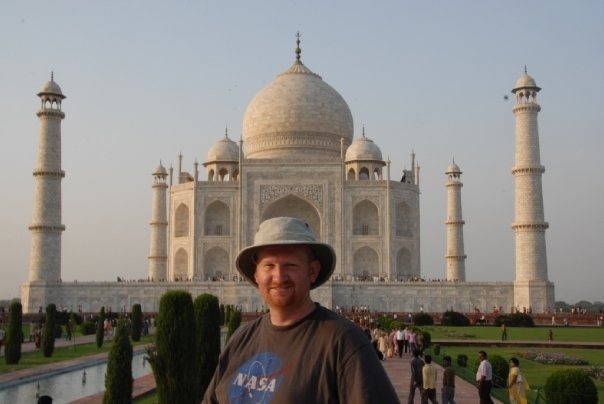 India is fantastic, and the wonder the Taj Mahal is the most impressive display of love in the world. 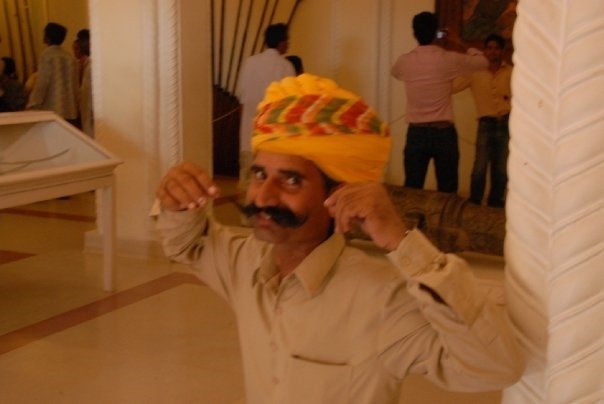 You haven’t seen India, until you’ve seen it the way I have. I wrote about my experiences with the holy rats of Bikiner. That one incident was culture shock like no other. I definitely dove head first and loved it. I throw out everything I have ever known about rats, and listen to the kids and humble followers that told me to remove my shoes and walk among the rats barefoot. They say no one has ever even gotten sick from these special rats. Hundreds, thousands, maybe hundreds of thousands of rats in the temple. 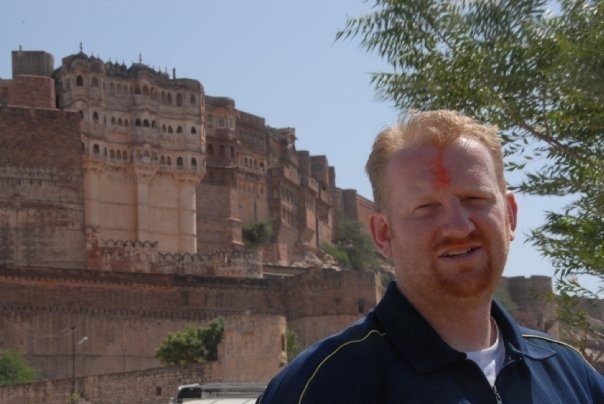 That was my real introduction to India and while an extreme it prepared me for what I would experience through the nearly 5000KM trip across India and ultimately to Kathmandu, Nepal and up into the Himalayas and up around Mt Everest. 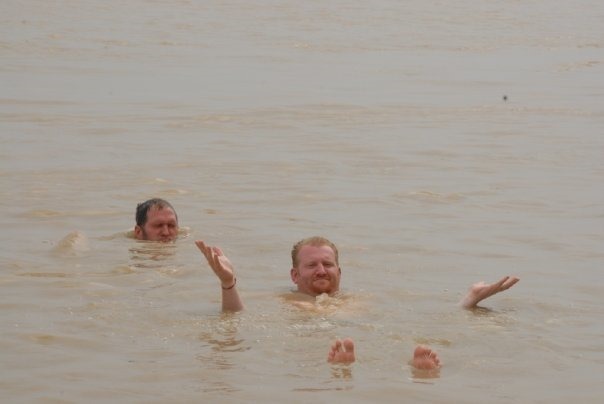 Three dips in the Ganges the dirtiest but holiest river in the world as well, was a fascinating experience that made me really consider the healing effects of water and help me appreciate and respect the faith of all people. 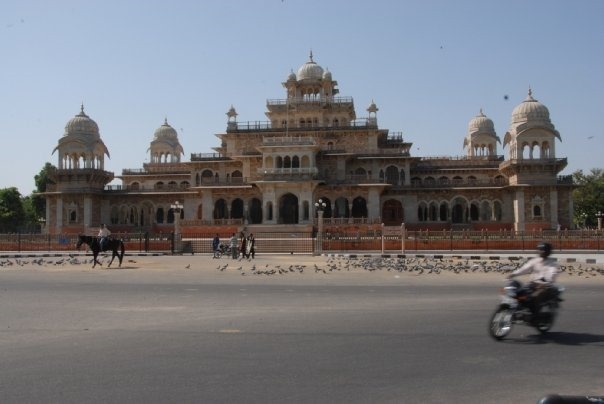 We drove nearly straight for 3 days across the Rajasthan province of north western India through the the most amazing cities of Jaipur (The Pink City) and Jodhpur (The Blue City) [map]. 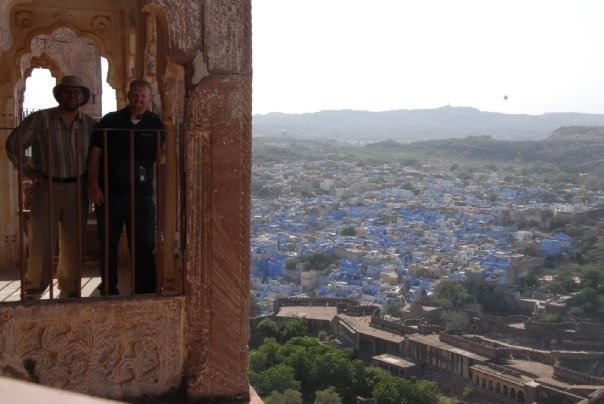 Above Jodhpur the Blue City! It was after seeing these awesome examples of great kingdom with palaces and forts, that I arrived in Agra the home of the Taj Mahal. 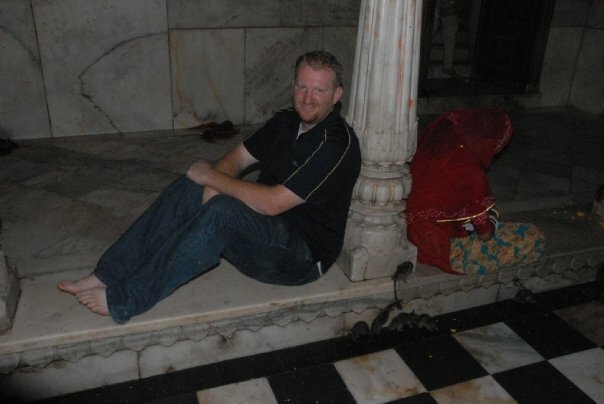 I had already been in India for about a week by the time I arrived. We parked outside of the site, and walked. It was a pretty good hike. In our visits across Agra and even in the south in Pune and Chennai we hadn’t seen many tourists, but here we weren’t alone. Here we across our trip we saw more tourists than we had seen in total. I try to avoid tourist spots, but I also have to see the wonders of the world. They draw me in. India has such a rich culture. Amazing people filled with joy, sadness, and a rich history. World UNESCO Heritage, Wonder of the World, as a true legend of eternal love of an Emperor for his favorite Queen! It is an amazing story. 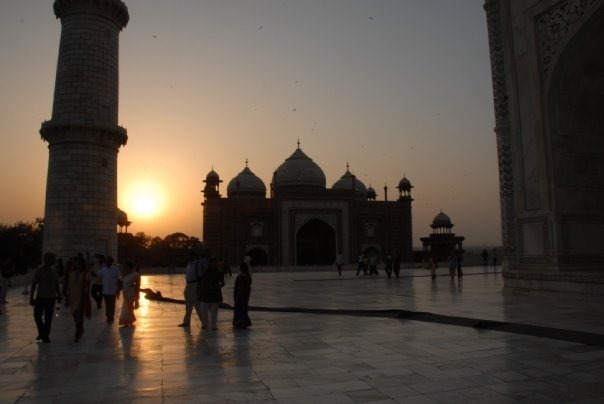 Though he spent much of his time subduing Hindu kingdoms to the south, Shah Jahan left behind the colossal monuments of the Mughal empire, including the Taj Mahal (his favorite wife’s tomb), the Pearl Mosque, the Royal Mosque, and the Red Fort. The Taj is an immense mausoleum of white marble, built in Agra between 1631 and 1648 by the Mughal emperor Shah Jahan in memory of his favourite wife. It is the jewel of Muslim art in India and one of the universally admired masterpieces of the world’s heritage. Our world is evolved enough people should NOT be dying of hunger any longer. End of story. I don’t think we should put up with it any more. If a handful of priests can keep alive 20,000 rats in the lap of luxury. We surely can apply some of these principles to help sustain communities all over the world. In my next post I’ll tell you what we can learn from the rat temple, a place that’s one of my favorite because it’s sooo different from the culture I’m use to. I spent a couple of weeks across India and Nepal with a couple of friends… Majid from Iran and Michael Noel from San Francisco. While traveling in India I came across a peculiar place unique to any other on the planet. 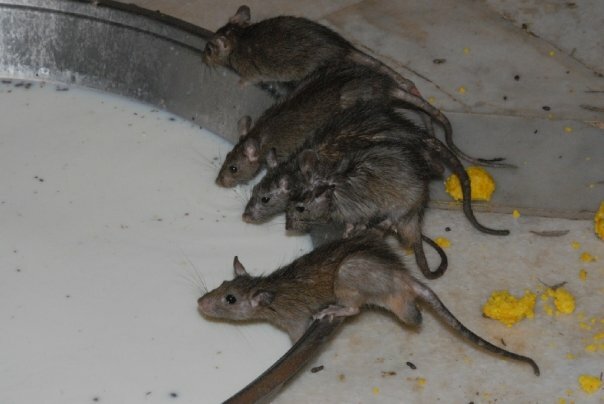 It was the Karni Mata Temple known as the Rat Temple in Rajisthan province near Bikiner. 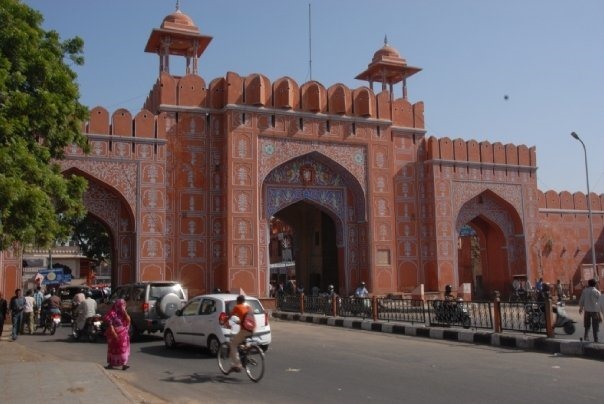 The world famous shrine of Karni Mata can be found in the town of Deshnoke 30 km south from Bikaner on the road to Jodhpur. Karni Mata is worshiped as an incarnation of Goddess Durga. This temple is famous for rats which can be seen everywhere in the temple. 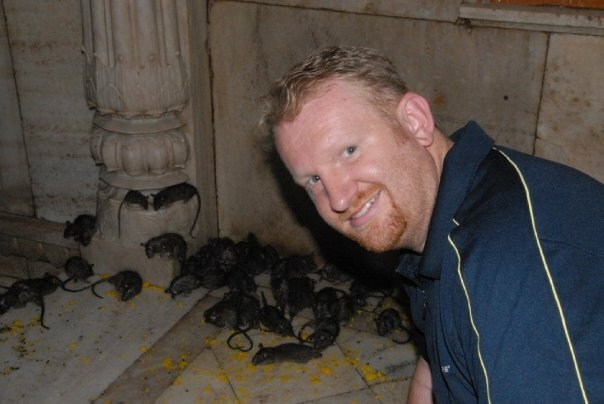 The rats are treated as sacred and given protection in the temple. Thousands of people travel to the temple by foot. The temple draws Hindu visitors from across the country hoping for blessings, as well as curious tourists from around the world. Inside, you are required to remove your shoes, it’s good luck to have rats run across your feet as this brings good luck. It’s also good luck to find a white rat. Apparently among the 20,000 rats there are 4 or 5 white rats. We spent a while listening to the children who were telling us stories of where the white rat had hid in a wall and we waited around hoping to catch a glimpse. The temple is an ancient building from the 1500’s built in beautiful white marble and has a silver door complete with images of rats that was donated by a rich ruler nearby. The priests of the temple are protectors of the rats. They bless the pilgrims and give them a special sacrament. This sacramental food that is a mix of rat saliva and other stuff that comes out very yellow called prasadam, a candy like food for the rats. Eating food or drinking water that previously has been sampled by a rat is considered to be a supreme blessing. Why Rats? In India as well as in the west Rats aren’t that special. In fact they are seen as animals that carry disease, but these rats are special. For generations they have been taken care of in this prime state. The story of the rat temple is quite unique. I’ll put the story in my own words and then let you discover a number of online variations of the story. The story goes that Karni Matta was the reincarnate of the goddess Durga. One of her children died and she tried to bring it back to life only to be told by Death that had cursed her and her child was reincarnated as a rat and all of her clan would be reincarnated as rats. Other versions I’ve found say she made a deal to have her clan come back to life as rats and those rats would come back as humans. Either way, you don’t want to hurt or harass the rats here, as they are very special, but these are relatives of a reincarnate goddess. Apparently of the 20,000 rats it’s difficult to locate any baby or younger rats. In our trip I think we saw some juveniles, but for the most part they all did look about the same size and age. No one apparently has ever gotten sick from the rats. Careful where you lean, there may be a rat on the ledge or railing. Killing a rat would result in you needing to replace it with a solid gold or silver one. While at the temple I saw the largest mixing bowls in my life. These huge huge bowls are set over a fire and the priest cooks the food for the rats in mass quantities. They are feeding 20,000 rats and for a handful of priests it saves a lot of time to work with industrial sized feeding bowl. In my next post I’ll share a social biz idea to solve world hunger based on this amazing place. I refer to the idea as social mush.